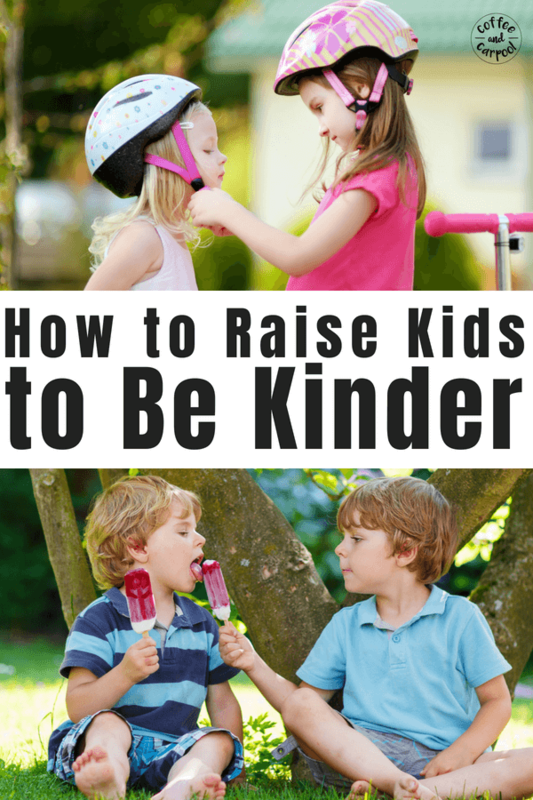 Inside: We can raise kids to be kinder with these 10 simple tricks that will help parents intentionally raise kind kids. Holy cow. This is the banter I often hear between kids when I’m out and about in kid-friendly spaces, like school playgrounds and ball fields and parks. While not all kids are this unkind, when I come upon this, it shakes me to my core. Because one of my main parenting goals is to intentionally raise kind kids. Even in a world that’s unkind. Even when we’re going in twenty directions, have meals to make and several school projects to complete. Because when my husband and I sat down years ago to list the character traits we value, kindness always topped our list. So in our family, we follow the Golden Rule. We believe in the “Don’t say something if you don’t have anything kind to say” guideline. And we choose the “Think about others, not just yourself” mentality. But raising kind kids doesn’t happen on accident. As parents, we can’t just cross our fingers and hope our kids turn out kind one day. And we have to intentionally choose to parent in a way that will raise our kids to be kinder. What is kindness and why is it important to raise our kids to be kinder? Kindness can be tricky to define. That’s because kindness is action based. Kindness is defined by how we act towards others. Sure we can use kind words and offer a kind compliment or keep an awkward truth to ourselves out of kindness. But, we show kindness when we treat others the way we want to be treated. We are kind when we are mindful of those around us and act accordingly. We get labeled as a kind person when we repeatedly, and unceremoniously help others when they need it, without expecting to get something in return. And I long for the day when it just feels normal to be kind. So if I had to choose only one character trait I want my kids to be labeled as having, it would be kind. Because people-and kids-who are kind also happen to be generous, friendly, considerate, compassionate, sympathetic, empathetic, helpful, good-hearted, polite, respectful, and thoughtful. That list of character traits is definitely worth the extra effort it takes to raise my kids to be kinder people. Being kind is so highly valued in our family, it’s one of our only two family rules. Being kind as a family rule helps my kids become the best versions of themselves because it covers: backtalk, sarcasm, mean words, mean tones, “bad” words or profanity, teasing, ignoring me or siblings, physical hurting of any kind, turn-taking, sharing, helping someone, thinking of others, not hurting feelings, thoughtfulness, compliments, kind sibling interactions, including siblings in play or activities, standing up for siblings, and using manners: please, thank you, no thank you, you’re welcome, excuse me, and bless you. The simplest and most underrated way to raise kids to be kinder is to model it ourselves. As parents, our kids are watching our every move and listening to everything we say. They’re paying attention when the guy cuts us off on the freeway. Do we yell back or let it go? They’re watching when we see a musician playing on the street corner. Do we ignore it or do we smile, offer a compliment or put some money in their case? We need to act how we want our kids to act. We can yell at the bad drivers when our kids aren’t in the car. In our family, we also teach our kids to be helpers. Because kids who can look around, see someone in need, realize they can help make that person’s life easier, and then take action, are kind people. When our kids are kind to their friends, it’s a fantastic thing. 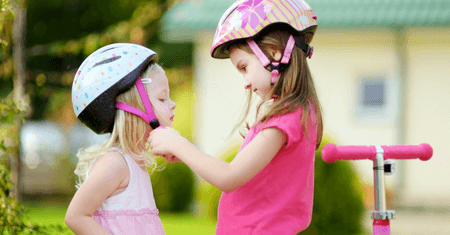 When they’re kind to their siblings, it can be downright miraculous. Because siblings can be kryptonite to kindness. 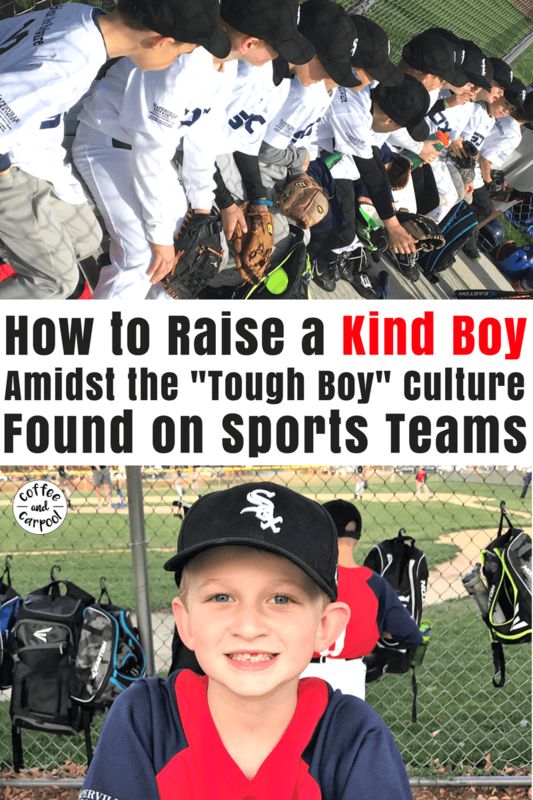 So we spend a lot of our focus on building positive sibling relationships so our kids find it more and more natural to be kind to one another. When we see kindness in the world around us, it’s important to take the time to label it as kindness and praise it, so our kids know we value it. And when our kids are kind, even in the smallest of ways, we make a big deal of it so they know how extra proud we are of them when they show kindness. My eldest daughter offered a bite of her cookie to her sister without being prompted and I stopped what I was doing in the other room and ran to praise her and her behavior. I then asked her, how does it feel to be so kind? She blushed, and then admitted she loved it. One of the kindest things we can do in life is to be an includer. To be the person who sees someone by themselves and taking the time to invite them to join in. When I drop my kids off at school each day, I remind them to invite someone to play with them. For some kids, being invited to join in is the type of kindness that can literally change someone’s world. When my kids are *ahem* not being the kindest versions of themselves, instead of labeling them as a “mean kid,” I flip it. I call them kind. But I also tell them they must have forgotten they were kind because their actions didn’t show kindness. I remind them that being kind is a family rule and it’s non-negotiable. And then we talk about what they could have done instead of hiding their sister’s toy. There’s a great book- or ten great books- about any topic. And kindness is no exception. Just like kids often fill out reading charts to encourage them to read more, our kids can work on a kindness challenge to help them find new ways to show their kindness. Try these random acts of kindness ideas to help make kind activities a more normal part of our kids’ lives. 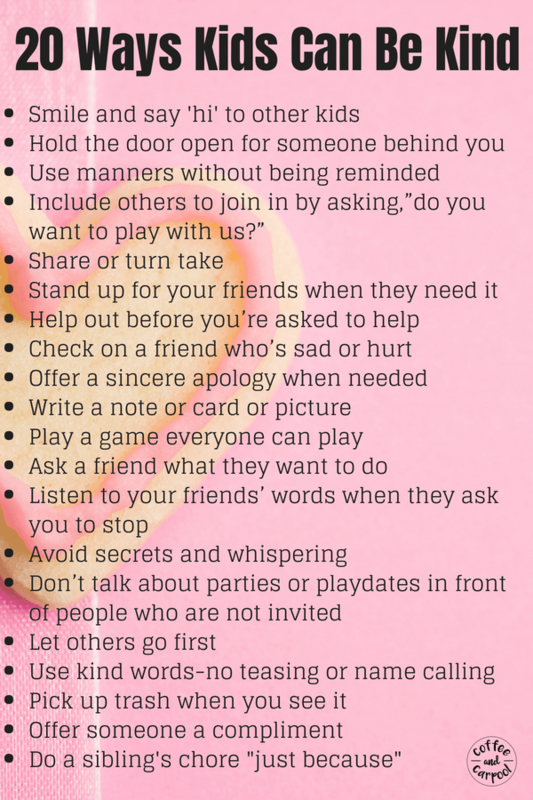 There are plenty of things we can do to help raise kids to be kinder. But there’s also a few things we have to ban. In our family, we have banned these 15 things which may seem trivial or too small to be deemed important. But when we add these things up, day after day, these 15 things change the dynamic of our home and the tone of our home because these 15 things change how we speak to each other and how we treat each other. They may seem little, but the little things add up and can make a huge difference in how kind our kids are. It’s not always easy. When I’m busy and trying to manage everything, it can be challenging to remember to focus on purposefully parenting my kids to be kinder. Because we can change the world, one kind act at a time. Which starts when we raise kids to be kinder people who are ready and able to show kindness towards others. And that’s something we can all do.